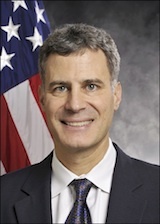 We recently solicited your questions for Alan Krueger, chairman of the President’s Council of Economic Advisers. Below are Krueger’s answers, in which he talks about the Bush tax cuts, the American Jobs Act, and why NFL coaches should go for it on fourth down. Thanks to everyone for participating. Q. The recovery from the recent recession has been great for corporate profits, but not so great for employment. I think that this is a natural result of the fact that when demand is insufficient, corporations focus on improving productivity rather than on producing more goods and services. A. In the year before President Obama took office, the United States lost nearly 5 million private sec­tor jobs. And we lost almost another 4 million before the President’s policies were in full effect. In the past 24 months, however, private-sector employers added a net total of 3.9 million jobs, about in line with the recovery from the 1991 recession and faster than the recovery from the 2001 recession. Looking forward, strengthening and sustaining the recovery in the job market is a top priority of the Obama Administration. This year’s Economic Report of the President emphasizes the importance of continued support of economic reforms to the unemployment insurance system that this Administration had proposed as a part of the American Jobs Act, including mandatory reemployment services for the long-term unemployed, waivers that will allow states to experiment with wage subsidy programs that will spur hiring, and assistance to the unemployed to start their own businesses. The President has also called for other investments to accelerate the recovery. These include investments in infrastructure, and assistance to states and localities to retain school teachers and first responders. The President has called for a $50 billion investment in roads, rails and runways, $25 billion to States and localities to support teachers, and $2.9 billion to States and localities to support first responders. Q. I look at the long-term unemployment figures and feel that they are telling me that there is a dramatic skills mismatch between what skills job seekers have and what skills job seekers are developing (through schooling and other avenues). Do you agree? If so, then what could/should be done by individuals, and separately, the White House? – John K.
A. Long-term unemployment had been rising before the recession and the recession greatly worsened the problem. Opening pathways for the long-term unemployed to return to the workforce is a particular priority. The reforms that were originally proposed as a part of the Administration’s Reemployment NOW program, which have now been passed by Congress and signed into law by the President, will require states to provide reemployment services and make other reforms to the UI system to help job seekers get back to work more quickly. As part of his Fiscal Year 2013 Budget, the President is propos­ing a $12.5 billion Pathways Back to Work Fund to provide employment opportunities for vulnerable youth, low-income adults, and the long-term unemployed. To help the long-term unemployed maintain and build job skills, the President has called for expanded training opportunities. For example, the President has proposed the Community College to Career Fund, a major initiative to provide workers with the tools and skills they need to find new jobs—by forging new partnerships between community colleges and businesses to train 2 million skilled workers for jobs in high-growth and high-demand industries. This builds on the historic investments that the President has made in community colleges through the Trade Adjustment Assistance Community College and Career Training initiative and Skills for America’s Future, an industry-led initiative to partner with community colleges that the Administration helped to launch. The President has also proposed that dislocated workers should be able to access a single program, visit a single location or go to a single web site to find information about and assistance with job and training opportunities in their community. The Administration has taken measures to provide more immediate support for the long-term unemployed. To help the long-term unemployed keep their homes, for example, the Administration created a version of the Home Affordable Modification Program (HAMP) for the unemployed, called HAMP UP, in which unemployed homeowners were given a three-month forbearance period on their mortgage payments. Homeowners are allowed to delay making payments, with the delayed payments capitalized into their mortgage. In July 2011, this forbearance period was extended to 12 months. This change applied to the HAMP UP program as well as to the FHA Special Forbearance pro­gram. Following the Administration’s lead, Wells Fargo, Bank of America, Fannie Mae, and Freddie Mac have recently announced their commitment to provide up to 12 months of mortgage payment forbearance to unemployed borrowers. The Administration has also supported the long-term unemployed by calling for extended unemployment compensation, which provides much-needed income support to these workers and their families while the recipient searches for work. A. President Obama summarized the rise of inequality very succinctly in his Osawatomie, Kansas speech, when he said, “over the last few decades, the rungs on the ladder of opportunity have grown farther and farther apart, and the middle class has shrunk.” All quintiles (fifths) of the income distribution grew together from the end of World War II to the late 1970s, but since the 1970s income has grown more for families at the top of the income distribution than in the middle, and it has shrunk for those at the bottom. We were growing together for the first three decades after World War II, but for the last three decades we have been growing apart as a result of rising cross-sectional inequality. The exception was the period from 1992 to 2000 when strong economic growth in the Clinton years led all quintiles to grow together again. Indeed, all income groups experienced their fastest income growth in years. Q.Why weren’t the Bush tax cuts allowed to expire? Many people today are concerned about the federal budget deficit. Figure 3-1 of the Economic Report of the President shows that if the Bush tax cuts were allowed to expire, future budget deficits could be cut in half. Whether or not you agree with Keynesian economic theory, you have to agree that when the economy is not operating at full capacity, some money is being hoarded. Higher taxes would collect some of that hoarded money, which could be spent to stimulate the economy. be theoretical reasons to suspect that lower taxes stimulate the economy, but I am not sure that the historical record supports that belief. The economy grew more rapidly during the Eisenhower administration, when the top tax bracket was above 90%, than in the George H.W. Bush or George W. Bush administrations. A. The previous Administration enacted a series of sweeping tax cuts skewed toward high-income Americans. These tax cuts were all put into place without any offsetting spending cuts or replacement revenue sources. As you have pointed out, Figure 3-1 of the Economic Report of the President illustrates that these cuts, along with the establishment of the Medicare prescription drug benefit program and the wars in Iraq and Afghanistan, account for a huge portion of current deficits, and will continue to impair our fiscal health over the next decade. The Center for Budget and Policy Priorities finds that the Bush tax cuts reduced revenue and increased interest costs by nearly $3 trillion between 2001 and 2011. In 2011, Federal tax receipts amounted to just 14.4 percent of GDP, far below the postwar average of 17.7 percent. Although trends in effective tax rates are attributable to a variety of factors, the tax cuts initiated under the previous Administration lowered them noticeably for the highest income groups. When the Economic Growth and Tax Relief Reconciliation Act of 2001 cut statutory income tax rates, high-income taxpayers benefited disproportionately, in large part because of the cut in the top rate from 39.6 percent to 35.0 percent. Two years later, in 2003, preferential rates on long-term capital gains and dividends were cut to historical lows of 15 percent, again resulting in large benefits for the upper-income taxpayers who realize the bulk of investment income. To help reduce the deficit in a way that is consistent with the notion of shared responsibility, the President’s Fiscal Year 2013 Budget proposes to let the tax breaks expire for families with income above $250,000 a year, reversing a decade-long trend of unequal tax benefits for the wealthy, while making the tax cuts for those families making $250,000 or less permanent. Q. Do you follow football and have you David Romer’s 2005 research paper stating that NFL teams don’t go for it on 4th down nearly as often as they should? Why do you think that NFL teams don’t go for it more on 4th down? (I’m assuming that you use the economic skills in your toolbox on other things besides public policy.) What say you? –Milt T.
A. As both a lifelong New York Giants fan and an economist, I am familiar with my friend David Romer’s Journal of Political Economy paper (ungated PDF here) that argues that coaches should go for it on fourth down more frequently, especially if they are close to their opponent’s goal line. In fact, we had a Super Bowl party when the Giants beat the Patriots in Super Bowl XLII, and I remember saying to Bob Solow that the game may be remembered as the “Romer Bowl,” given Bill Belichick’s proclivity to go for it on fourth and short (and usually fail). In general, I believe that coaches tend to be a little too risk-averse in their decision-making. It is important to note, however, that Romer’s analysis only looked at first-quarter decisions and so it may not tell us much about what to do in later game situations. Hoarding money?! You've got to be kidding. A guy who believes in Scrooge McDuck, is advising the President on economic matters. He doesn't answer the questions either. No wonder economically things are bad. The question referred to hoarding money, not the answer. Krueger's position on Scrooge McDuck is still up in the air. In my not top ten list of Freakonomics Q&As, this one comes in at number two. To make the top spot, it needed to be a little longer. Mr. Krueger didn't answer the questions and his spin moves don't give you confidence in his abilities. Jay Carney - and this is not a knock on Jay Carney - would have provided better answers. Did the Chairman of the President's Council of Economic Advisors just refer to my savings account as a horde, requiring confiscation and subsequent expenditure? BTW, still waiting to hear a public official or prominent media commontator mention that the minimum wage hike in 2009 contributed to the economic downturn worse and/or increased the unemployment rate. Noted FRB economist Arthur B. Kennickell is preparing to publish his next installment of “Ponds and Streams….Wealth Inequality in America”. It will show that since 2007 (his last installment), the wealth of the top 1% has ballooned even further and they now own fully 50% of the wealth in America. The bottom 50% (one-half) of the population now owns less than 1% of the wealth in America. So the question is: WTF–Game Over, right? How in God’s name, other than EATING THE RICH, can you propose that this tragic situation be improved? What alternate universe do the people in this administration live in? Do they really think we aren't paying attention. They claim 'We've created more jobs' (even though unemployment is and remains at historic post recession highs). They stop drilling in government land and when the private sector finds a way to get more oil from existing wells they claim credit fro increased oil production. All of the good economic news is because of them and the bad (like the price of gas ) is something they can't control. We should raise taxes because there was a better economy in the Eisenhower administration, of course because of the 90% tax rate. Ever take a class in statistical analysis i.e. causation and correlation? It couldn't have been because of the post war boom and America's preeminence in the world economy perhaps in spite of a high tax rate. They take credit for every good thing that has occurred in the economy while everything wrong like gas prices is someone else's fault. Who handles communication in this White House, Lewis Carroll? Clinton's Deficit Reduction Act of 93, which did raise taxes a small amount on the highest earners, resulted in a great stock market in the 90's, huge job creation, and Clinton giving gw bush a surplus in 2001. GOP gives the country slow job growth and large deficits. Deficits and debt were exploded by about 87% by gw bush and the republican congress. Then, bush gave Obama a trillion dollar deficit. Facts derail the pubs' ridiculous talking points about deficits, debt and job creation. As they say "Correlation does not imply causation" - and I don't even think there's any correlation here. Woah - I figured these answers would be PR-ified, but I didn't realize they would be using them as an opportunity for campaigning. Guess we should have hit him up next year! As interesting as this is, I don't think Freakonomics should be giving a platform to a politician -- this guy is an economist second. I come to places like Freakonomics to get away from ideology and get a dose of analysis and curiosity. If I wanted political spin to make the numbers work in someone's favor, I'd go to Greg Mankiw or Paul Krugman. At least they supply the occasional graph to support their spin. Wow, I've never seen such little information conveyed by so many words. I really hope his answers reflect the reality that they have nothing positive to run on so they've got to say something because if this is the actual advice he's giving the President we're doomed. My real shock is that he'd try to trot out these ridiculous talking points in a blog like this with a readership that is more economically literate than the supermajority of the country. I'm really disappointed he didn't take this opportunity to honestly answer our questions and engage in a meaningful dialogue. Note Dutch did not deny the FACTS: Clinton did give gw a SURPLUS. Little brain shrub did give Obama a huge trillion dollar deficit. Best stock markets always under Dems, so if you care about your children and your money, you'll vote Democrat instead of for contraception and against abortion and all those issues SCOTUS settled decades ago. There has not been a successful GOP prez since teddy r., THAT TOO IS A FACT. Wait, you say, reagan, nope. Ronnie/gwhb gave us recessions, stock market crash, s/l scandal and reagan's senior security advisors went to jail over iran/contra. No success there. Proof the smart and the rich vote Democrat: 8 of the 10 richest zips in U.S. voted 2-1 for Obama in 2008. No reason different this time. DJIA up over 62% since Obama came to power. Historic. Unprecedented.